The great game is often a polarizing one, with supporters sticking with their teams through thick and thin. 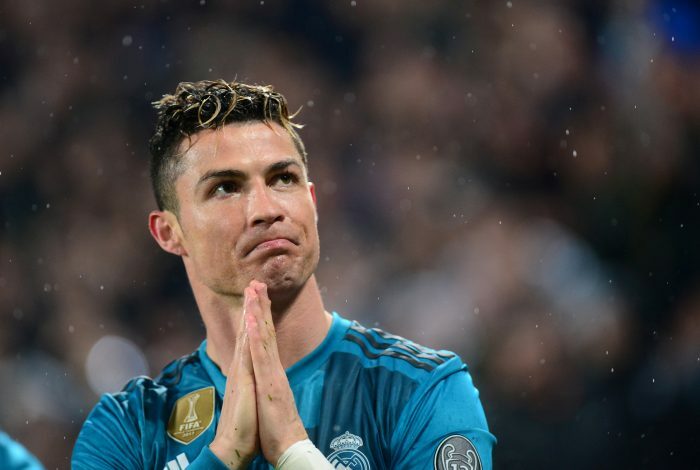 In the recent Champions League encounter between Juventus and Real Madrid, the home fans were seen openly booing the Portuguese superstar. And then, in the 64th minute, magic was shown by Ronaldo, as he translated a relatively tough cross into the back of the net through a beautiful over-the-head bicycle kick. Not only did the goal silence the boos, it ensured that the entire stadium was on its feet to applaud what was arguably the finest goal that the Champions League has witnessed in recent memory. Old Trafford is certainly one of the finest places to showcase footballing greatness. However, the stadium is not one that is used to tasting a hard game, and over the years, has been dumbstruck by instances when the unthinkable did occur. Yet, in 2003, when Real Madrid visited Old Trafford and gave spectators a match to remember, it was the antics of one player that stood out. This time around, it was the Brazilian Ronaldo that would embark to win the hearts of both sides. Despite the Galacticos losing 4-3 on the night, they had knocked United out of the Champions League on aggregate. Yet, Ronaldo’s performance was a glorious one that Old Trafford aptly rewarded with thunderous applause and an ovation when he was eventually substituted. Class at its finest. Now an awkward spot for both home and away players, the Santiago Bernabeu hasn’t always been a merciless stadium for players. In fact, during the Clasico of 2009, when the home side was destroyed 6-2 by their bitter rivals, it was one rising player that was treated fairly. Lionel Messi played a crucial role in the battering, having scored twice and assisted two more. While it wasn’t the first instance that the gifted Argentine had bettered a Real Madrid side, it was the first time that the Bernabeu crowd witnessed him. And they rewarded him with a standing ovation for his antics. Little did they know that the smiling striker would haunt them for several more years to come. Even before the previous encounter, Madrid’s chomping grounds had witnessed maestros destabilize their team. This Clasico was when a Brazilian apart from Madrid’s Ronaldo ended up schooling the Real Madrid side. 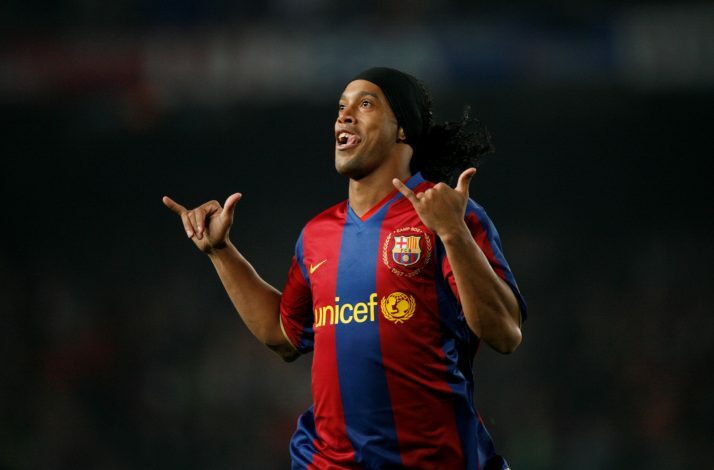 Ronaldinho was a sight to be reckoned during the encounter, and was a constant pain for the defenders. Repeatedly, it was his ploys that gave Madrid a tough time and unexpectedly created many chances. But when the magician went on to score two goals and effectively put the 3-0 scoreline to rest, there was little the home crowd could do but applaud his sheer perseverance and outstanding performance throughout the game. In the English game, there are few encounters that are as bitter as the ones that Chelsea and Liverpool share. Gerrard is a player that was part of a decent chunk of these in the modern era, and thus, one who was familiar with the environment that aided it. Perhaps his career’s most infamous moment occurred during one of these games, when the Englishman’s unexpected ‘slip’ caused a Chelsea victory in 2014. The embarrassment was dual, as it also ensured Liverpool had no chance at the title after that encounter. Yet, during his last year as part of the Merseyside club, and effectively his last game against Chelsea, he played a crucial part, providing the match equalizer. The Stamford Bridge crowd game him an unexpected standing ovation and a thunderous applause, summarizing not only the antics of the game, but also a fine career in the Premier League. Clearly, the Santiago Bernabéu is a much more rewarding place than it initially seems. Ten years before Ronaldo’s bicycle kick won the hearts of Juventus fans, it was the crowd of Madrid that was astonished by a Juventus star. The Italian forward was in scintillating form during the encounter, and he scored both his goals through long-range strikes which brutally defeated the home side. Yet, not one to be sour, the stadium instead gave him a huge applause in addition to a standing ovation when he walked off the pitch. In fact, one could have been forgiven to think that it was, in fact, a Galactico that had put in a great show. Once again, pure class from Real Madrid fans. These instances all outline the unifying nature of football, and it goes without saying that more of the same is bound to be on the way in the matches that follow.